First up for this batch of charts is a nice and simple range trade. 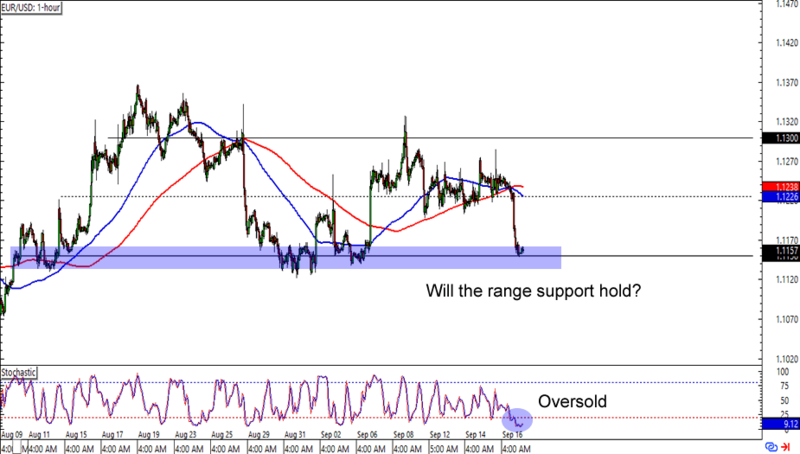 EUR/USD is having trouble breaking below the 1.1150 minor psychological handle, which lines up with a range support on the 1-hour chart. Not only that, but stochastic is also chillin’ in the oversold territory. A long trade at current levels could get you a good reward-to-risk ratio especially if you aim for the 1.1300 range resistance. Just make sure you place your stops well below the previous lows! 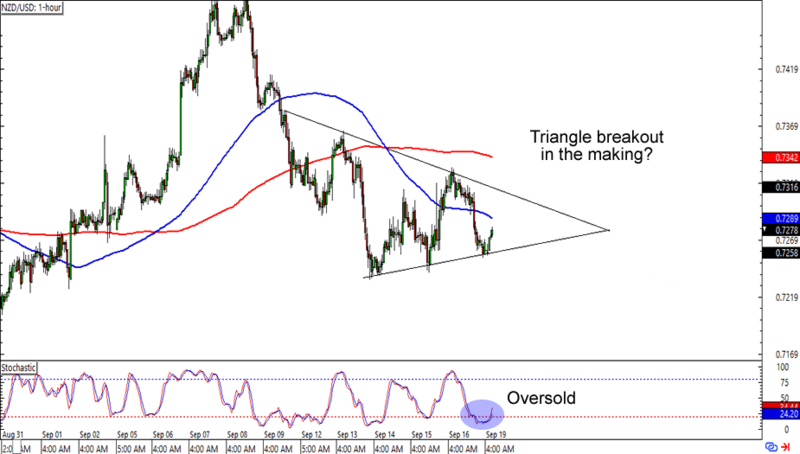 If breakout trades are more your thing, then you should check out NZD/USD’s symmetrical triangle on the 1-hour time frame. The pair has just bounced from a rising trend line, and it looks like it’s headed fast for the triangle resistance near the .7300 mark. Triangles like this one can break in either direction, so an upside breakout is not a done deal just yet. In any case, make sure you practice good risk management if you’re trading this setup (or any setup, really). Here’s one countertrend traders out there! 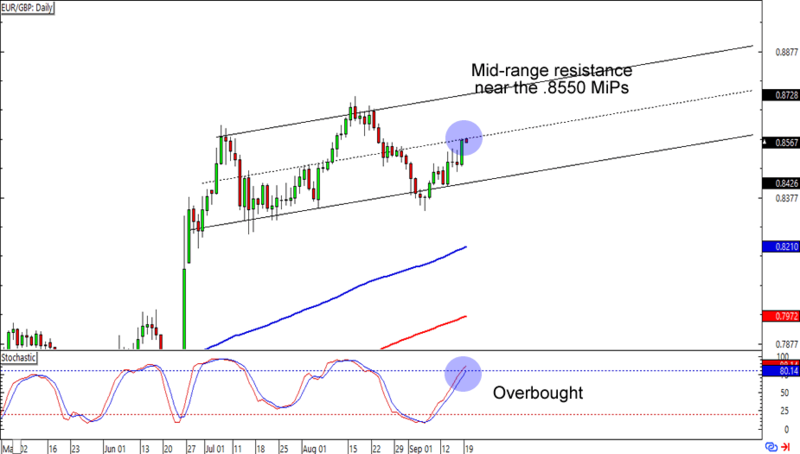 GBP/USD is currently testing the .8550 minor psychological handle, which is right at a mid-channel resistance on the daily chart. What makes this setup more interesting is that stochastic is also about to hit the overbought territory. Consolidation around current prices could inspire a move towards the .8400 channel support, while a couple more strong candles could take the pair to its previous highs. Which direction do you think the pair will go?